Pull out your binoculars and clear your schedule. This weekend is the fifth annual Twin Cities Urban Birding Festival. This is one of those events that makes living in such an outdoor oriented city so cool. The event runs May 13-16, 2010 and there are 22 events including bird hikes, bird banding and more. Work and family commitments prevent me from taking part in any of the events this year which is killing me as they look fabulous. I'm disappointed to not even be able to attend the hike at Como Park since it is practically right in my back yard and usually turns up some fun things. 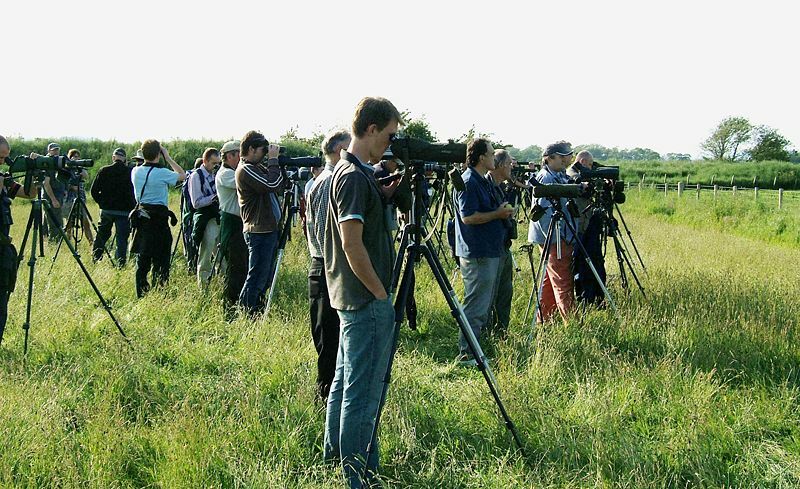 I'll be showing live raptors to kids at a school that day so hopefully I'll be making some new birders in my own way. If you can only do one hike be sure to check out some of the hikes at the Arden Hills Army Training Site which is usually closed to the public. No registration is required for these events, simply show up. The only event with a fee is the catered lunch on May 15. Check out all these events! The full schedule is posted at www.urbanbirdingfestival.org.